There is a great resource that some of you might have heard of, called Coursera. It is a website with a collection of online classes offered from top universities around the world that you can take for free. Sound good? It's great! You can take many of them in real time and follow along with a class, with weekly lectures and assignments, and you even get a certificate of completion at the end. Or, you can look into the archive for a class that has already happened, and use the material at your own pace. I've been perusing a course on Writing in the Sciences, which has video lectures of powerpoint presentations, led by an instructor, and I'm finding it really useful. I'm sure this course, Introduction to Public Speaking, might be useful for the student as well! 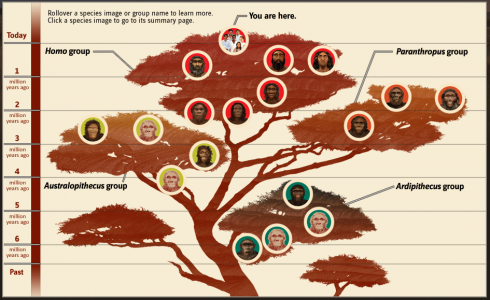 I've signed up for Human Evolution: Past and Future, which is being run by the lovely John Hawks of John Hawks' Weblog. You can read his posts about MOOCs, or 'Massive Open Online Courses" here: http://johnhawks.net/taxonomy/term/1380. If you are searching for other courses that you can take online the Online Courses Australia offers the courses about human resources and Security courses. There are other courses that they offer that might interest you. One of the important notice is, students are given the opportunity to choose from various schools, programs and courses which are not available in the area where they live in. This is especially beneficial for those who live in rural areas that only have one or two educational facilities, which most of the time, offer limited course and program options for students.